Are you considering purchasing dental insurance? While you'd think it's an easy purchase, there are several types of dental insurance you should be aware of. We list out the different options here. The pain and discomfort that comes with a toothache may not be the worst thing for an uninsured person. What could be worse than that? Well, it is the big chunk of money that goes to your dentist for fixing your teeth! Everyone knows how expensive most dental procedures can get. Thankfully, there is a simple way to deal with this problem – dental insurance! Whether you need a root canal or are preparing yourself for a tooth extraction, it is possible to save a lot of money by investing in a dental insurance plan. However, before you buy dental insurance for yourself and your family members, it is important to know what it is and how it benefits you. Furthermore, in order to make a wise and informed decision, you must familiarize yourself with the different types of dental insurance plans available. Once you have all the knowledge, only then you will be ready to invest in the best dental plans out there! Scroll down to read all about dental insurance and make the right choice! First of all, it is important to understand what exactly dental insurance is. To put it simply, dental insurance is a type of health insurance plan that is specifically designed to meet the needs of dental health and care. According to the dental insurance that you purchase, your plan covers some or all costs associated with dental care. Your dental insurance pays a portion of the cost of preventive dental care along with most minor and some major dental procedures. A dental health insurance plan offers the same benefits as health insurance. However, it is focused on your dental health only. The biggest and the most obvious advantage of purchasing dental health insurance is the minimized costs of dental procedures covered in your plan. Your dental coverage allows you to enjoy better oral health. Apart from these obvious benefits, Dental insurance offers another major advantage: preventive care. Preventive dental care is included in almost all dental insurance plans. By visiting your dentist regularly, you can take care of most issues related to dental health before they can turn into a serious problem. Keep in mind that most major dental procedures are expensive and you are required to pay some percentage of the total cost of the procedure, even when you are insured! However, you can easily avoid them by seeing your dentist regularly and keeping a check on your dental health. Another important benefit of maintaining your oral health is that it directly affects your body. Your overall health is likely to get better once your oral health improves. Owing to these benefits, it is important to consider buying a suitable dental insurance plan as soon as possible. Do you need dental insurance? Probably yes! It is important to understand that the condition of your teeth and dental health plays an important role in maintaining the overall health and wellbeing of the body. Furthermore, like most medical issues, toothaches and other dental problems are can occur at any time. To make things worse, most dental problems are quite painful and often require immediate attention and treatment. For these reasons, it is important for everyone to buy dental insurance. If you have children and are looking into dental insurance, you may want to purchase it for your children as well. Keep in mind that a stitch in time saves nine! Dental insurance is the “stitch” in this case that can save you a lot of money when it comes to the dental health of the entire family. If you are planning to invest in a dental insurance plan for the first time, it is only natural to have a hundred questions about how it works and what you will have to pay for. However, the good news is that it is easy to understand how dental insurance works. In fact, it is a lot like your health insurance. Here’s a list of a few things that you need to know about in order to understand how dental insurance works. These are the things that you are required to pay for. Premium is the amount of money that you pay monthly to your dental health insurance company. Before the insurance starts paying for your dental measures and procedures, you are required to pay a certain amount for services that are included in your dental insurance plan. This amount is called the deductible. Once your deductibles are cleared, the insurance covers most of your dental expenses. However, you are still required to pay a small percentage of the expenses that are covered by your dental insurance. This amount is called the coinsurance. It usually accounts for 20% – 30% of all the expenses covered by the insurance. Some dental insurance plans require you to pay a fixed amount for acquiring certain services or procedures, like getting an X-ray. This amount is called copay. Owing to the advantages of investing in a dental insurance plan, it is important to buy one and avail the benefits. 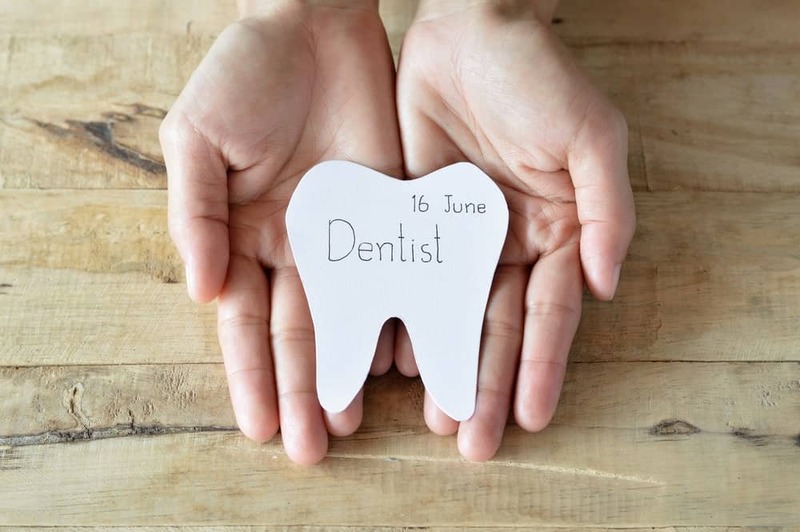 However, with so many types of dental plans available today, it can easily get a bit overwhelming to select the right plan for you and your family members. This makes it important to take your time to understand the different types of dental insurance plans and all the terms and conditions that come alongside them. Keep in mind that while some plans even require your dentist to be a part of a network, others may have certain limits or set fees for services or produces. Therefore, make sure you know all about the plan that you are buying. Also, ensure that it meets all your needs and provides coverage for everything that you require. Scroll down to read all about the most common types of dental insurance plans. A Preferred Provider Organization (PPO) plan is the same as the regular indemnity insurance, except it requires your medical facility to be part of the network of dentists under contract with the insurance company. These dentists are required to offer their insured patients with a set of procedures and services at the rates set in the contract that they have with the insurance company. In most cases, network dentists offer special discounts to insured patients. This means that the amount of coinsurance that you have to pay for availing medical facilities is further lowered! It is important to note that while most contracted dentists accept the maximum fee that is dictated in the contract, non-contracted dentists can charge any amount of fee. It can be higher or lower than the allowance offered by your dental insurance plan. Dental Health Maintenance Organization plans (DHMO) are also known as the capitation plans. Just like PPO, this plan also requires the dentist to be part of a network. Under a Dental Health Maintenance Organizations plan, the contracted dentists are usually “pre-paid”. Every month, they are paid a fixed amount for each patient that is assigned to them. The contract binds them to offer you particular services either free of cost or at a discounted rate! However, in order to receive the benefits of a Dental Health Maintenance Organization plan, you are required to get treated only by the dentists that are assigned to you or at the contracted office. Indemnity dental insurance plans are also known as the traditional plans. Under an indemnity plan, the insurance company is required to pay a fixed percentage of costs of dental services and procedures that are covered in your plan. A rather important advantage of opting for an indemnity dental insurance plan is that it allows you to choose your own dentists. However, if you want, you can combine it with a Preferred Provider Organization (PPO) plan to receive additional facilities or discount. It is important to note that most Indemnity plans offer a fixed allowance for every dental procedure called “Usual Customary and Reasonable fee” or “UCR”. Direct Reimbursement plans take into account the amount of money spent on dental procedures, rather than the type of treatment. It is a self-funded plan that allows you to pick a dentist of your own choice. You have the liberty to visit your dentist anytime that you want. However, at the time of the treatment, you are required to pay the dentist yourself. After that, you can claim your insurance money by submitting a paid receipt as the proof of treatment to the insurance administrator. The administrator then reimburses the money. However, some insurance companies allow you to reimburse the amount directly to your dentist, instead of paying them upfront. Points of services plans cover special arrangements that allow the patient to visit any dentist who may not be a part of the specified network. However, choosing an “out of network” dentist can cost you extra bucks when it’s time for reimbursement. This means that although you have the liberty to pick any dentist, choosing one from the network can get you more discount and better reimbursement amount! Exclusive Provider Organization plan is a kind of a reimbursement plan that requires you to see only the contracted dentists. While a Direct Reimbursement plan allows you to visit any dentist of your choice, an EPO limits your options. Table or Schedule Allowance Plans are a kind of Indemnity Plans where the insurance company pays a fixed amount for every procedure or service that you acquire, irrespective of the actual expense that you incur at the dentist’s office. A lot of people combine these plans with a PPO to limit the contracted dentists to charge only the maximum allowable fee according to the contract. With so many dental insurance options available for patients, it is important to invest in the ones that meet all your requirements. It is advisable to have a detailed discussion with a representative of your insurance company to make sure that you make the right decision. Remember, healthy teeth mean a healthy life. Therefore, whatever you do, never compromise on your oral health and get a dental insurance plan today.